Alma Elaine McPeck was born on 6th May 1942, in Boston, Massachusetts USA, of Irish, English, and French Canadian descent. She worked as a bank clerk and nurse’s aide until she became known after 2011, being the mother of actors Mark Wahlberg, Donnie Wahlberg and of chef Paul Wahlberg. The media has called Alma ‘everyone’s favorite celebrity mom’. So just how rich is Alma Wahlberg? Sources estimate Alma’s net worth is $1 million, money having been made inside the family business and from reality shows, mostly only in recent years. Alma married her first husband, Donald Wahlberg, in 1965. The couple had nine children, but they divorced in 1982. Alma mostly raised her children alone, and not without troubles: Mark Wahlberg, also known as Marky Mark, had an addiction to cocaine around the age of 13, was arrested several times for assault, and eventually sentenced to two years in a House of Correction. Another three of Mark’s brothers ended up in jail several times. Two of Alma’s sons became famous, Mark for being a rapper, an actor and a producer, and Donnie also an actor, a singer and a film producer. Mark’s success brought Alma to her first television experience in 2011, when she appeared in the episode “Mark Wahlberg Returns to His Hometown” of the television series “Anderson Live”. In the same year, another of Alma’s sons, Paul decided to collaborate with his two famous brothers and open the first Wahlburger restaurant, called Alma Nove, named after their mother and her nine children (“nove” is the Italian word for nine). Alma started working as a hostess in her sons’ restaurants as a hostess and presence in the eateries. She is now co-owner of the Wahlburger Restaurant Chain and a main cast member of a reality show which follows her family’s business so Alma’s net worth has improved significantly in the last five years; also three of her sons are multi-millionaires. In 2014, the family restaurant chain became the subject of the reality show called “Wahlburgers”, and Alma has been one of the main cast members ever since. Initially the show wasn’t received very well by the critics, but it became very popular among A&E network viewers and it has aired for four seasons until now. At the end of 2014, the reality show had received an Emmy nomination for Outstanding Unstructured Reality Program. The reality show increased the restaurant’s popularity considerably, and soon the Wahlberg brothers started extending their business, by opening restaurants in Toronto, Las Vegas, and Philadelphia, which adds more income to all the family members who are involved in the business, including Alma. The restaurant chain plans opening in another 27 locations. In her less-than-private personal life, the matriarch of the Wahlberg family has been married to actor Mark Conroy since 1984. 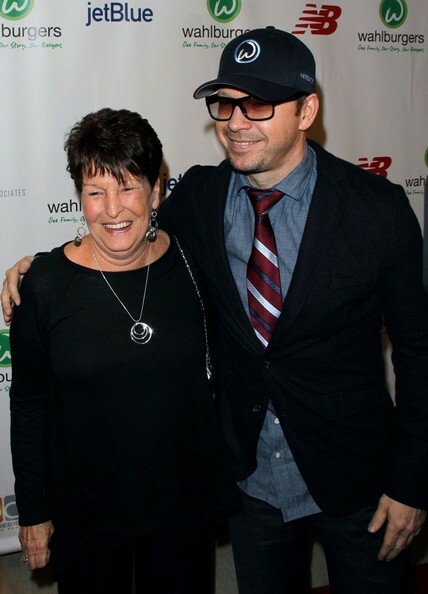 1 Alma is the matriarch of the Wahlberg family. As the mother of nine children, she has seen it all. Alma worked as a bank clerk and nurse's aide to make ends meet while raising her 9 children in tight quarters on the Dorchester, MA streets where she grew up. 2 Born at Harley Hospital, Boston, Mass. 3 Mother of Arthur E. Donnelly, Paul Wahlberg (aka Paul J. Wahlberg), James M. Wahlberg, Tracey A. Marcarelli, Michelle Wahlberg, Robert Wahlberg (aka Robert G. Wahlberg), Donnie Wahlberg (aka Donald E. Wahlberg) and Mark Wahlberg (aka Mark R. Wahlberg) and the late Deborah E. Donnelly.